Commodity trading and risk management (CTRM) systems are data rich but information poor. They do a great job of capturing detail and ensuring transactional fidelity—meaning that you have clean, accurate data that can be used across the lifecycle of each transaction, including accounting, settlements, invoicing, and payables. However, it can be difficult to obtain meaningful information from your data alone. You have trustworthy numbers on a screen in front of you, but what do the numbers mean? It’s the equivalent of looking at the trees and not being able to see the forest. You need to be able to view your data from different perspectives and identify spikes, dips, and other trends, and then leverage this insight to your company’s benefit. Without the intelligence delivered by CTRM analytics, you have gaps in knowledge—blind spots—regarding your operations, which can impact your decision-making and ultimately your profitability. You need to be able to answer critical questions. 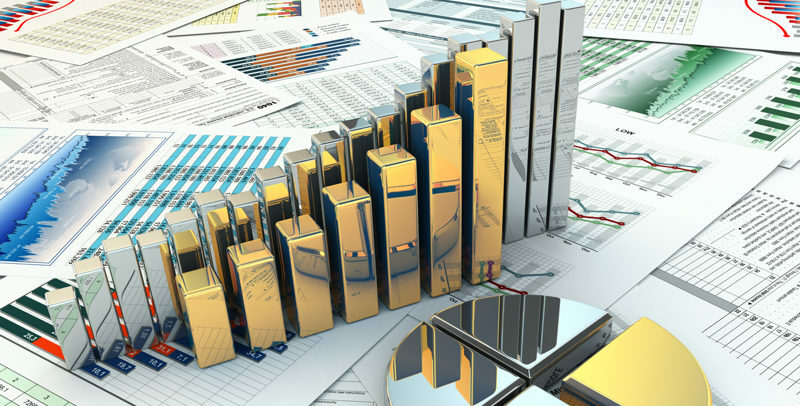 In this blog series, capSpire will examine five common questions that analytics can help to answer. Question 1: What part of my business is most profitable? On their own, CTRM systems let you easily see P&L as a whole. But when you start creating grouping structures—such as locations or strategies—it’s more difficult to bring together data from across your organization and examine P&L in any other way besides within the grouping structure you’ve built. Here’s an example: You want to know whether a specific trader within your organization is making money. 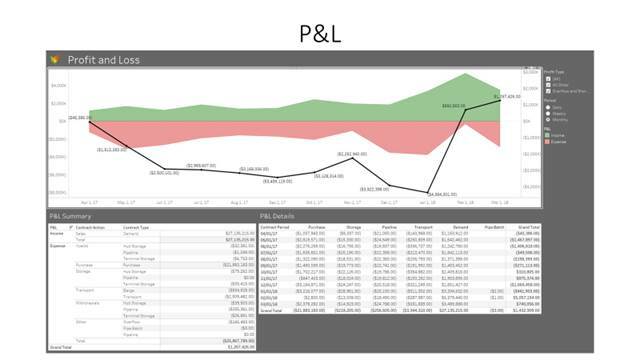 Your CTRM system provides data for that specific trader but, without applying analytics, how do you bring together data from different structures across your organization to find out P&L by trader and then compare? CTRM systems don’t let you collect data across multiple other systems your organization may use, nor can you incorporate external data into your CTRM system(s). P&L can be impacted by costs managed in other systems. To create P&L projections, many CTRM systems enable you to set up price curves—but they don’t permit modeling various scenarios. All organizations struggle to reconcile realized and unrealized P&L. CTRM systems don’t bring together realized and unrealized data into one report, and these systems don’t provide the tools for analyzing the differences in data. 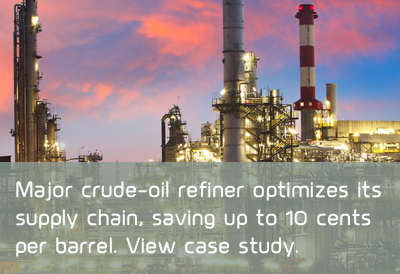 CTRM systems don’t offer an efficient means of matching source costs with sales. As a result, organizations don’t understand the total cost—from contract to delivery—of each sale and therefore cannot perform robust P&L reporting. CTRM analytics let you see different dimensions of P&L and reveal a fuller picture of what’s happening within your organization. The analytics function consolidates your data—gathering it from across all the structures or groups within your organization, across multiple systems, and even letting you import data not within your CTRM system(s)—to enable a dynamic, comprehensive view of all your data in one central repository. Using a dashboard and visualization tool, you can slice and dice your data in various ways to uncover trends and find exceptions—such as a huge loss you didn’t know about. Analytics also can enhance estimating future P&L and planning for what-if scenarios. Not only can you set up price curves, but you can model scenarios and understand the impact of different decisions made today on tomorrow’s P&L. Want to read more? Check out question 2: When and where do I need to move product? 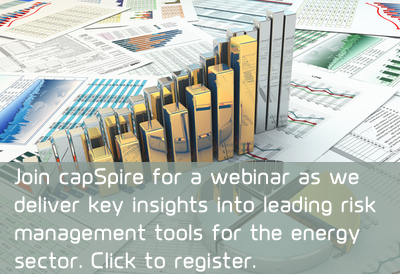 If you are looking for tips to increase the value of your Risk Management data, join capSpire for a webinar as we deliver key insights into leading risk management tools for the energy sector. We’ll also provide tips on how to get the most out of your risk management strategy using E/CTRM systems combined with visualization and analytics software. capSpire is a global consulting and solutions company that solves difficult business and technology problems for commodity-focused organizations. It provides the unique combination of industry knowledge and business expertise required to deliver impactful business solutions. Trusted by some of the world’s leading companies, capSpire’s team of industry experts and senior advisors empowers its clients with the strategies and solutions required to effectively streamline business processes and attain maximum value from their supporting IT infrastructure. For more information, please visit www.capspire.com.